CodeMeter Runtime is an out-of-the-box package that you deliver along with your software. 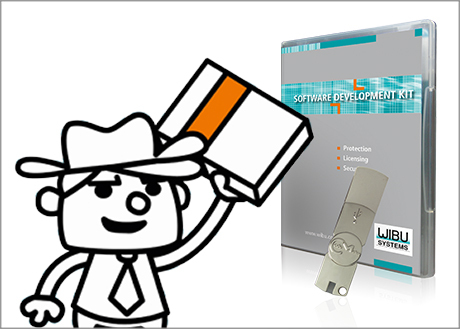 It contains all the components that you need to create CodeMeter-based licenses. CodeMeter Runtime is available as a stand-alone installer and a merge module. The main component of CodeMeter Runtime is the CodeMeter Runtime Service. It runs in the background, usually as a service or daemon, and manages connected CmDongles, activated CmActLicenses, and the connection to the license server in LAN, WAN and cloud. It is also in charge of managing available and used licenses and tracking their use. When running on a license server in a LAN or WAN, it also makes licenses for CodeMeter Runtime Services on network clients available. 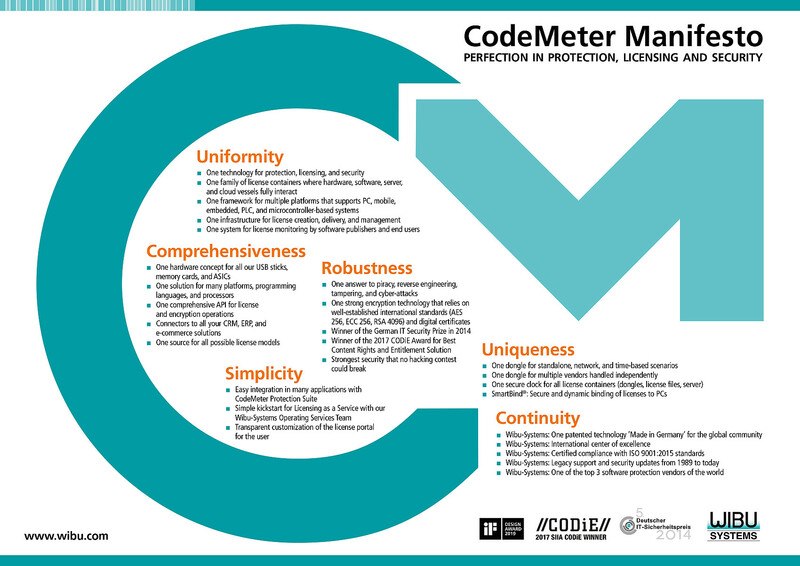 CodeMeter Runtime Service monitors the applications which are started and automatically assigns licenses to them in the event that any application crashes or the assignment of the license was forgotten by the developer. On terminal servers and in virtual environments, CodeMeter Runtime Service ensures that licenses used simultaneously on different workstations are counted separately (for each session and each machine). In the case of CmActLicense, CodeMeter Runtime Service determines the required properties for the binding to the computer and hides the information related to the activation securely on the target computer. 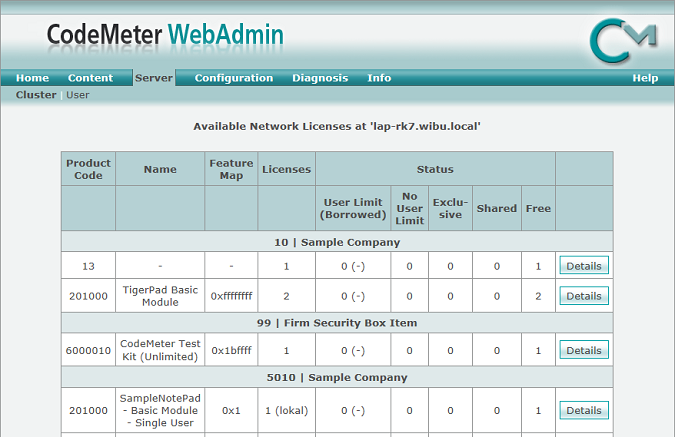 CodeMeter WebAdmin is a browser-based user interface that displays activated, available, and test licenses. 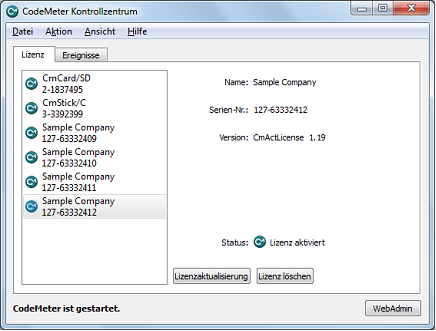 CodeMeter Control Center displays the list of CmDongles connected to the computer and existing CmActLicenses available on the machine; it also offers an activation wizard for offline activation of licenses. CodeMeter Runtime is available for Windows, Linux, and macOS.